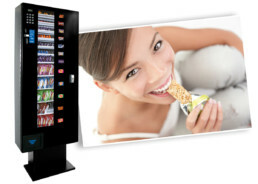 The Carlton wall -mounted snack vendor is a slimline spiral machine offering 12 selection of products all served at ambient temperature. The spirals enable it to display and vend irregular shaped products. For increased stability a plinth is included to support the machine from the bottom. 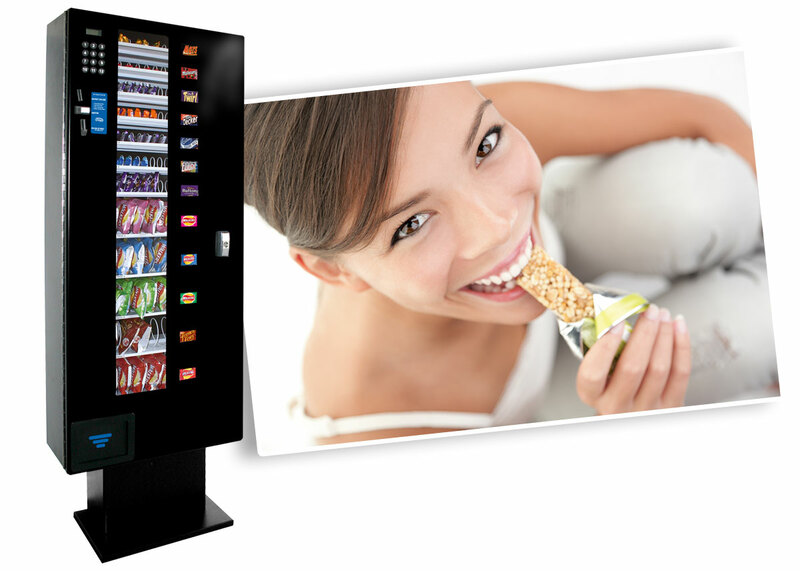 The standard machine comes with mains power but the machine is available with a battery unit that lasts up to 12 months or approximately 1500 vends before needing recharging. The Carlton is solidly constructed from coated steel and the standard configuration is 7 confectionary spirals and 5 snack spirals.